Several local artistes have congratulated Roberto’s successful win of the Zambia Music Awards Song of the year and also the Namibian Annual Music Awards for the best Pan African Artist of the year. The Amarulah singer whose song was the reason he picked a ZMA award last weekend received solidarity and special messages from fellow artistes including veteran Larry Maluma. Mr Maluma who is an inspiration to the new crop of artistes as he is mostly known from the old school local tunes such as ‘Chakolowa’ and ‘Punzisani ana’ sent a special congratulatory message to Roberto. “Congratulations brother Roberto. Wishing you all the best on your successful journey. Cheers!” he stated. And ‘Ireen Mambilima’ singer Drimz who hails from Kabwe where Roberto was also raised said he was proud to see Roberto scoop the two awards because the singer is a hard worker. He called Roberto the real deal of Zambian music. “Congratulations bro, may God add more years to you for you are an inspiration to us,” posted Drimz aka Bashi Lota on his facebook page. Several other artistes including radio and television personalities have also wished Roberto all the best in his career. Music manager and promoter Ezra Blackson Mwansa wishes that Roberto be celebrated and appreciated for his achievements. “ Roberto has amplified our industry and I wish many artistes can begin to fully accept industry achievements and not to always wish they are the ones winning,” counseled Ezra. And Roberto has announced that he would soon start an African tour to promote his music. 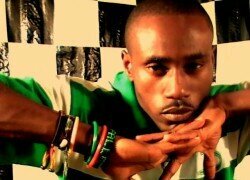 The singer becomes the first Zambian artiste to win the NAMA.